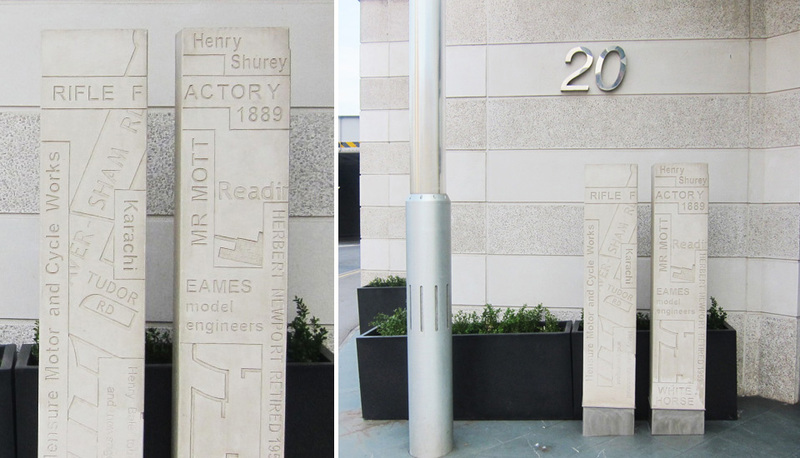 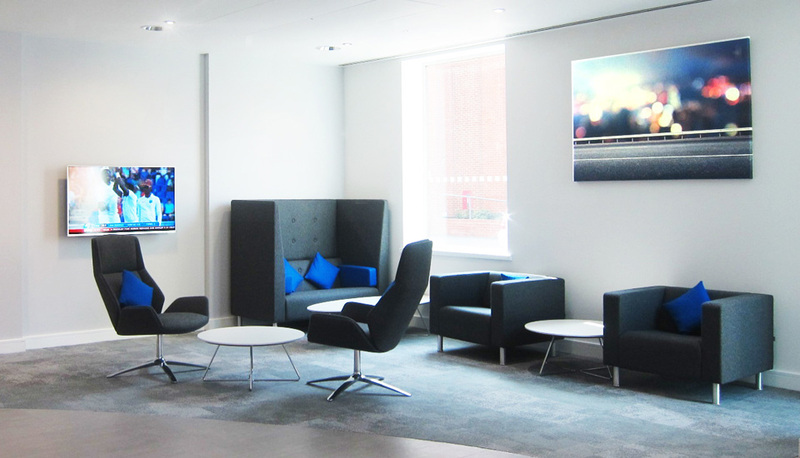 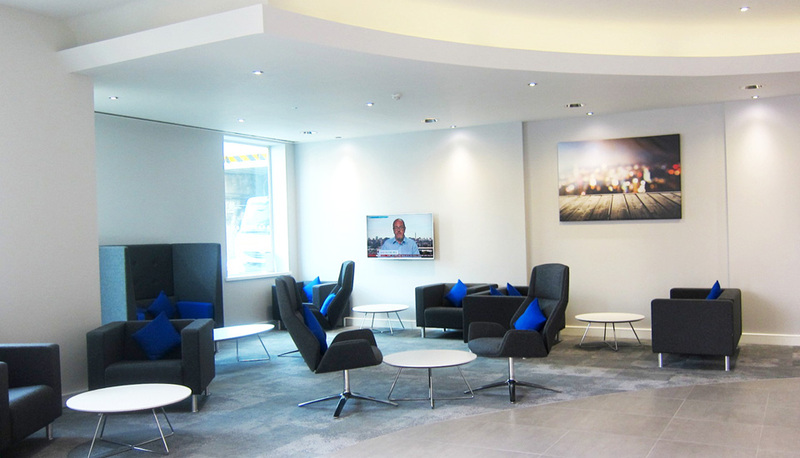 High specification refurbishment of an existing reception area, while building was in tenant occupation. 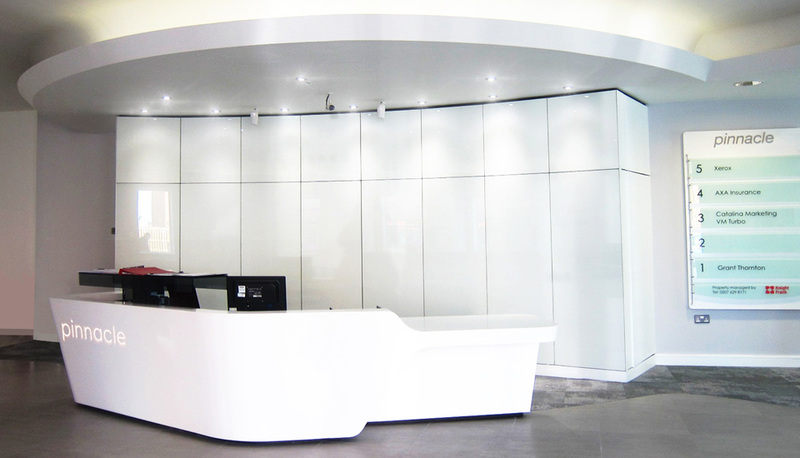 Inclusive of feature glass clad wall around lifts, and behind reception desk. 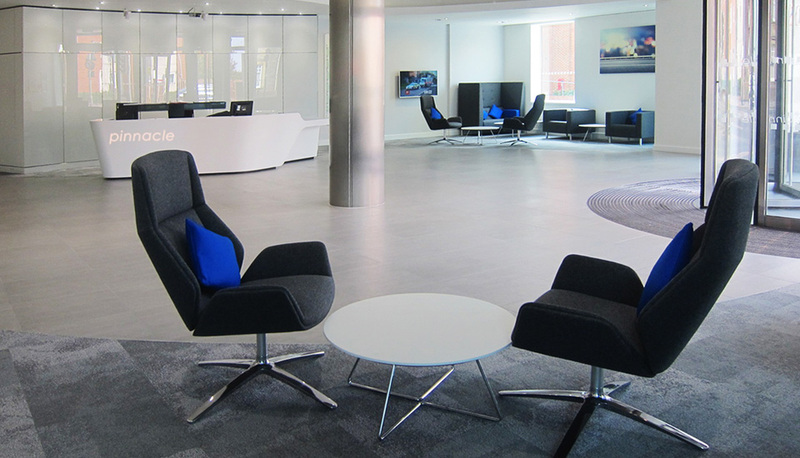 New porcelain tiled floor throughout, decorations, new entrance matt, reception furniture, and bespoke reception desk.